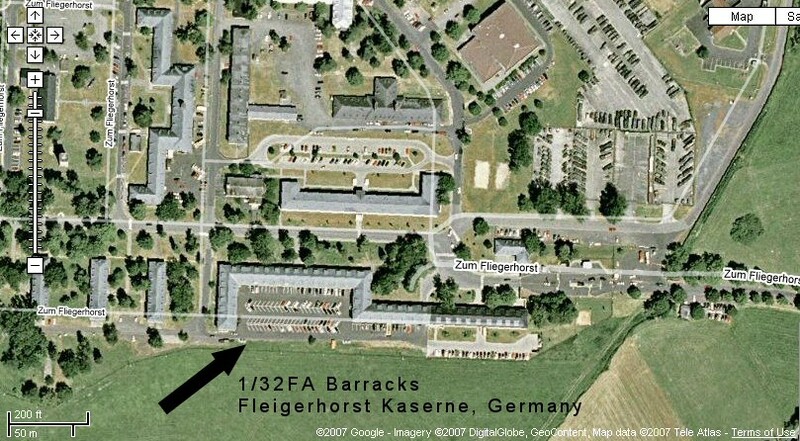 I finally got around to looking up 1/32 FA, Fliegerhorst Kaserne on Google maps. I found it! This is a picture of the barracks alone. They were huge joining up with the 155 howitzer battalion. There was a mechanic in SVC BTRY who was on extra duty sweeping that parking lot in full gear every day until he got sent to Manhiem. 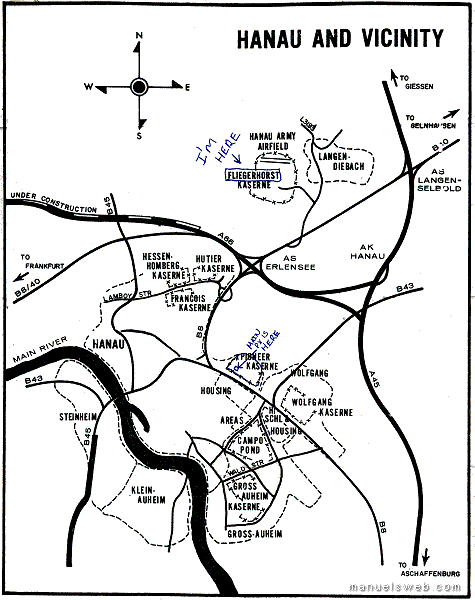 This USAREUR web site helped ID it plus I found an old Hanau map at home. I was surprised the barracks were still there. I wonder who uses them now? I've added several links to the USAREUR web site on the lance page.